Wander the streets and beaches of Phuket and other tourist destinations around Thailand and you’ll often soon be met by someone trying to sell you a photograph with an exotic animal. The thrill of an encounter with a gibbon, slow loris, iguana or python might add some excitement to someone’s tropical holiday, but what many don’t realise is that these happy snapshots mask a brutal, damaging and illegal trade. The Gibbon Rehabilitation Project was set up on Phuket in 1992 with the aim to not only rescue such animals from the streets, but to raise awareness of their abuse in captivity and the threat to their wild populations. Gibbons and slow lorises are protected species under Appendix 1 on CITES (Convention on International Trade in Endangered Species of Wild Fauna and Flora) – animals listed in Appendix 1 are in most danger of extinction, and international trade in specimens of these species is prohibited. Resident gibbon Phi Phi enjoys a healthier life since being rescued from Ko Phi Phi six years ago. The GRP sits near Bang Pae waterfall just inside the island’s Khao Phra Thaeo national park, housing about 70 animals including gibbons, slow lorises and dusky langurs. Poaching and smuggling killed off Phuket’s wild gibbon population some 30 years ago, but the project has since reintroduced 32 gibbons to the wild. Around half of them have successfully adapted to their newfound freedom and 15 babies have been born wild so far. Patong beach: fun city for some, hell for captive gibbons. Most of the gibbons rescued, however, suffer from physical damage or mental trauma and must stay in the shelter for the rest of their lives. Among the slow lorises cared for at the GRP, none will be able to return to their native habitat since their teeth are usually pulled or filed down to protect against their venomous bite. Without their protective teeth, these doll-eyed primates would not survive in the wild. Wide-eyed slow lorises like this rescued resident ‘Jora’ are coveted for their cuddly looks. Despite the efforts of the GRP and animal rescue organisations around the world to educate the public, many visitors remain ignorant of the dark side of the photo-prop trade. When the hapless – some might say clueless – pop star Rihanna shared her slow loris selfie taken at Patong beach with her 42 million Twitter followers in September 2013, the reaction was swift and widespread. Some highly publicised arrests followed but, sadly, business continued as usual here once the worldwide outrage died down. Nevertheless, the GRP used it as an opportunity to spread awareness in an open letter to Rihanna. Bambam and Peepoo are among the gibbons set to be released into the wild in a GRP pilot project in Chiang Mai. The most obvious and easiest way to help is to avoid taking photos with animals, and endangered animals in particular, while on holiday in Thailand, since the trade will only truly come to an end if it’s no longer profitable. The GRP also recommends that if you see any photo props in action to report it to National Park headquarters or send a complaint to the Department of National Parks, Wildlife and Plant Conservation. As a privately funded foundation, the GRP always welcomes donations, which can be paid online via Pay Pal, by bank transfer, or in cash at the donation boxes at the project site. For further information on donations see this page, but we were unable to donate at the time of publication due to some random PayPal issue -- we’re working on it! Visiting the Gibbon project is highly recommended anyway, for the chance to see (and hear!) some of the rescued gibbons – at a distance — and learn more about these amazing apes. It’s the only animal attraction on Phuket with a focus to help, not profit from, its creatures on display. Gibbon project volunteers take part in post-release gibbon observations. Support may also be provided by adopting a gibbon – donors give ongoing financial support and will receive updates on their “adopted” gibbon in return. Volunteers are also welcome to come and help out with various activities from feeding the animals to manning the gift shop to assist with outreach education programmes. Experience is not required but they do ask that volunteers be willing to commit to at least three weeks. Many thanks to primate researcher Petra Osterberg and GRP manager Phamon Samphanthamit for providing their photos and insights for this article. 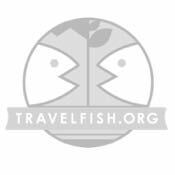 Each month a Travelfish.org writer selects a charity or non-government organisation that they believe does excellent work on their patch in Southeast Asia. They write about them and we donate $100, a small way for us to give something back to the region. If you’re looking to give back too, please consider giving a little cash as well. A selection of some of our favourite sights and activities around Phuket. Read up on where to eat on Phuket. Check out our listings of things to do in and around Phuket. Planning on riding a scooter in Phuket? Please read this. 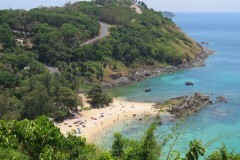 See below for more sights and activities in Phuket that are listed on Travelfish.org. What is the situation on Phuket's beaches? 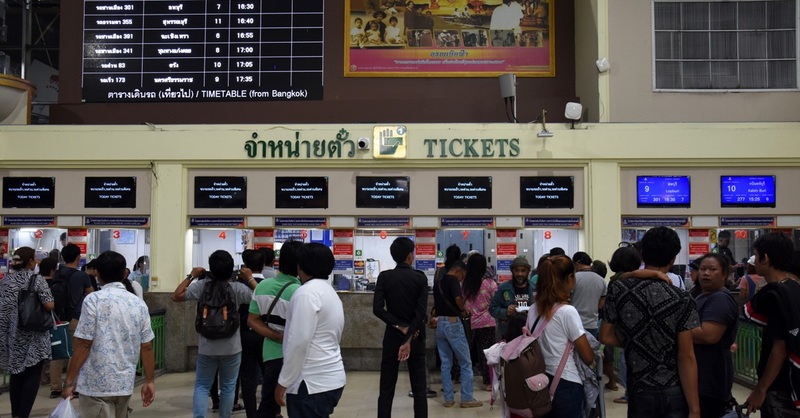 Where are you planning on heading to after Phuket? Here are some spots commonly visited from here, or click here to see a full destination list for Thailand.